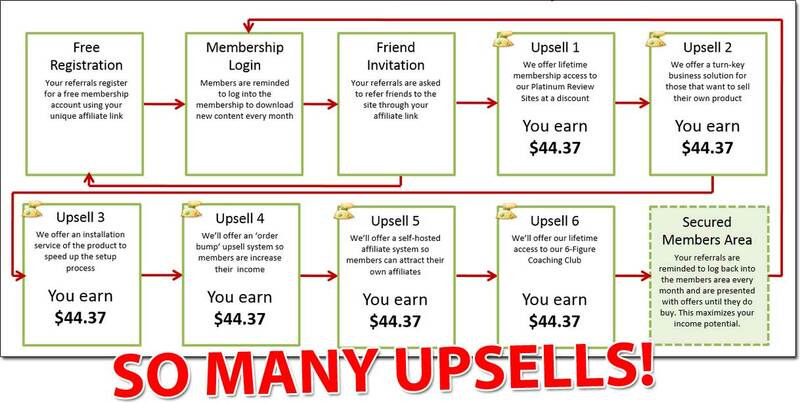 The Super Sales Machine system which has been put together by a guy named Aaron Danker claims to provide you with an easy, automated way to make good money online, even if you’ve never previously made a single penny online before. You’re told that you can simply “download” a profit-pulling website every website & make commissions without having to do any work – but is it really legit? Or will the Super Sales Machine scam you & just leave you out of pocket instead of actually helping you to make money like it promises? How Does The Super Sales Machine Work? Okay so basically the whole Super Sales Machine program is based around something called affiliate marketing – which is actually a legitimate way to make good money online. Affiliate marketing, in case you don’t already know, basically involves you promoting products or services for 3rd party companies, and in return you get to earn commissions on any sales you generate. By the way I’d also just like to point out that affiliate marketing is actually the same way that I personally make most of my own money online, so when I say it’s a pretty good way to make money I do really mean it. The first thing I can point out after taking a closer look into it is that thankfully the Super Sales Machine is not quite a scam as such, but at the same time I also don’t think it will really help you earn any money. Essentially the Super Sales Machine program is based around promoting products as an affiliate from a company called ClickBank (a digital marketplace), and specifically “make money online” products. The first problem is that most of the products found on ClickBank are extremely low quality or even flat out scams. For example the Daily Cash Siphon system & App Coiner program which I recently reviewed were both sold via ClickBank & I came to the verdict that they were total junk. Now the second problem is kinda linked in with that one. The way that the Super Sales Machine is “done-for-you” is that they will show you how to start your own blog & they will provide you with some reviews to promote the ClickBank products. The reviews they give you are the “done-for-you” part of the program. However the reviews of the products that they provide to you are all positive – and they are positive because you are going to be promoting the programs as an affiliate so you want people to sign up to them to make money. Obviously if you’re review said it was junk, nobody is going to sign up & you ain’t gonna earn anything. Do you really want to be tricking people into signing up to scams just so that you can earn some measly commissions at their expense? I freaking hope not! This is very bad news because this means all of the members who’ve signed up will have duplicate content on their websites. 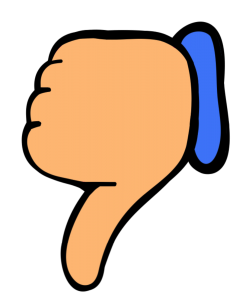 They’ll have exactly the same reviews as you – and the reason this is bad news is because search engines hate that. Search engines (like Google) don’t want tons & tons of the exact same content listed within their search results so do you what they do? They don’t list any of it! This means that you won’t be getting any traffic from search engine whatsoever, which is one of the best easy & free ways to get traffic… So instead you’ll likely have to spend money on paid advertising. But are you an expert in paid advertising? I hope so because the Super Sales Machine program doesn’t give you any training on it… Well, not unless you buy their additional upsells which cost around $997 in total. And even after spending the additional $997 there’s still no guarantee you’ll make money. In fact when it comes to paid advertising you’ll probably end up losing a LOT of money at the beginning because it takes a lot of trial & error… So I hope you have thousands of dollars to burn through whilst you’re tweaking your campaigns. So essentially what I’m saying is that the Super Sales Machine program sounds great in theory but in reality it’s not really going to help you at all. If you’re an expert at paid advertising you may be able to make something from it, but if not, or if you’re a total newbie altogether you’re probably just going to end up out of pocket. The truth is that you can make good money online but there are no “shortcuts” or “done-for-you” ways to do so & if that’s what you’re looking for then you are just wasting your time (and money too). Like I say the internet is not magical – it takes work to succeed online just like it does in the real world offline… But the good news is that if you do want to make money & you are prepared to put in the work then there are legitimate programs out there like Wealthy Affiliate where you can get started for free. The sooner you stop wasting time looking for shortcuts & start following proper training the sooner you’ll succeed. My Verdict – Is The Super Sales Machine a Scam? No, it’s not a scam – that would be a pretty harsh verdict to come to. 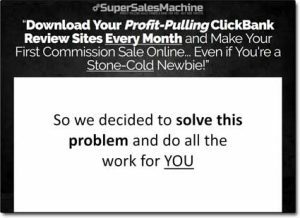 The Super Sales Machine system is one of the “more” legit make money programs sold through ClickBank, but sadly in my opinion it’s still not all that great. However as far as I’m concerned the method is just flawed & unless you’re an expert at paid advertising you don’t really stand any chance of making money with it… Instead you’ll just end up losing money, so for that reason I won’t be recommending it to you. Ataraxia 7 Review – Scam or Legit? Military Millionaire Review – Major Scam? American Consumer Eyes SCAM Exposed – My Review Uncovers The Truth! My Business Venture – Scam Exposed? My Review Uncovers The Truth About It!